LAST CHANCE! Win a Logitech Squeezebox wi-fi radio + free Queen Absolute Greatest album! | What Hi-Fi? LAST CHANCE! 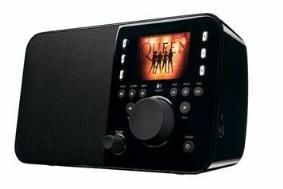 Win a Logitech Squeezebox wi-fi radio + free Queen Absolute Greatest album! Logitech's Squeezebox is a wi-fi enabled radio that gives you access to a global network of thousands of internet radio stations, as well as the ability to stream music from your PC or Mac. It supports online services such as Deezer, Last.fm and Napster and you can even share music recommendations with fellow Facebook users. A full colour 2.4in screen and simple rotary controls deliver a great user experience: it's slick and intuitive to use, and able to display album artwork. It's ideal for those who like internet radio and have a large digital music collection. The compact size means you can enjoy your music in the kitchen, bedroom, bathroom or even on the patio. We've got seven to give away, and each winner will also be able to listen to Queen's new greatest hits album, Absolute Greatest, for free before it goes on sale in the shops on November 16th. You'll also get a series of unique Queen photos and track-by-track audio commentaries recorded by the band. Just log on to the Logitech website for full details. To enter and be in with a chance of winning this fantastic prize, head on over to our Competitions page. Competition closes at midnight on December 9th, 2009.